In our previous entry, “Why Do Independent Game Developers Take So Long to Make Games?” we discussed a good chunk of our progress in, and thoughts on the past 2 years. We also mentioned two different approaches to game design, and we’re going to go into more detail on those approaches here. 1 • Start by programming a gameplay mechanic. 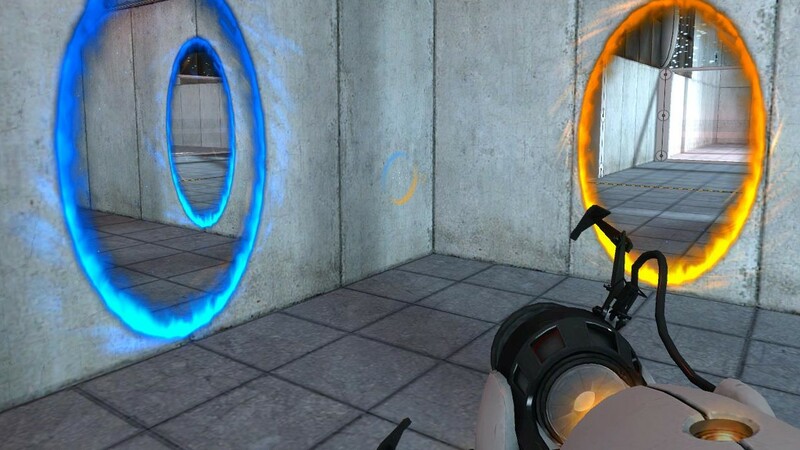 Portal revolves entirely around its core mechanic. This means that your game entirely depends on you finding an interesting, solid and fun gameplay mechanic, that you’re going to use and juice all game long. Portal, Fez, Braid, Minecraft, etc…the list is long and obvious when you think about it. They all use a single core gameplay idea. And this idea is like a material that you’re going to riff on, twist, to expand, to restrict, to split. You have to find its strengths and weaknesses, then exploit them to achieve a great diversity of situations, of enemies, obstacles and bonuses. It’s an exploration process that you take the player on with you. That’s what Jonathan Blow described when making Braid. He started by implementing his time reversal mechanic. Then, he thought that some objects shouldn’t be affected by the time travel, that they should be continuing their life while everything else go back in time. He used this time-immune feature on moving objects first. Then he tried it on levers, then enemies, then keys. And finally, even on the player. Each time he found an interesting configuration, he created a specific puzzle to highlight it. He is a master of this exploratory process, and this is why he’s such a brilliant puzzle designer. In this level, time unravels as you walk left or right: another unique twist on an single core idea. These gameplay discoveries were so entertaining to him, that he said the game “created itself”, that he was “sitting on top of a treasure and he just had to dig to find gold”. This way of making a game allows you to jump quickly into production: get a prototype running, then you iterate. As it is an empirical process, the result is, of course, not predictable, because it relies on the game developer’s flair & some degree of luck/divine inspiration. Not everybody is able to find an innovative gameplay mechanic that is easy to access, but deep enough to dig in for a full game. The main flaw of this process? Storytelling, lore, pacing, world-building are often an afterthought put between puzzles. 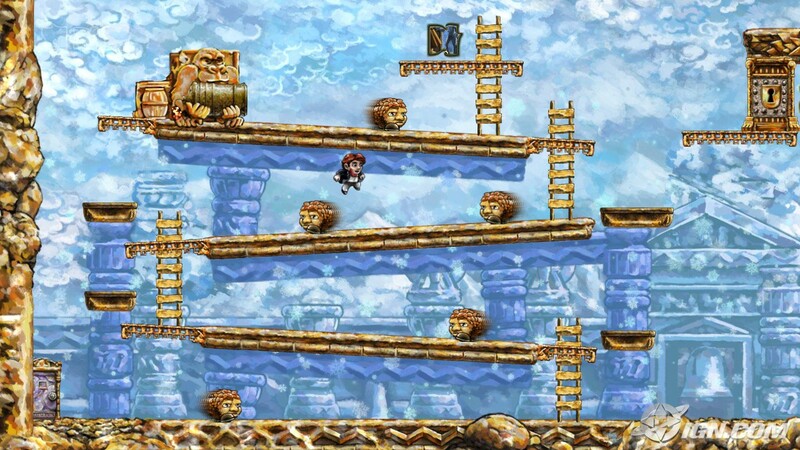 Much as we love Braid, it’s also the perfect example of that. An oblique story of nuclear physics and existential regret told through blocks of text in dreamlike paths between levels? Not exactly a gripping narrative. 2 • Build a World. You can’t make a Zelda or a Witcher without heavy preproduction. This approach is focused on the world and the narration. And it’s really demanding: you have to invent, write, and draw an entire world. You have to imagine and put on paper the lore, the people, the politics, the culture, the architecture, the world’s history, the characters, the weapons, the creatures, the relationship between them all etc. This is a long, long, loooOOOooong process — if you want it all to make sense. It requires months, usually years of preproduction. 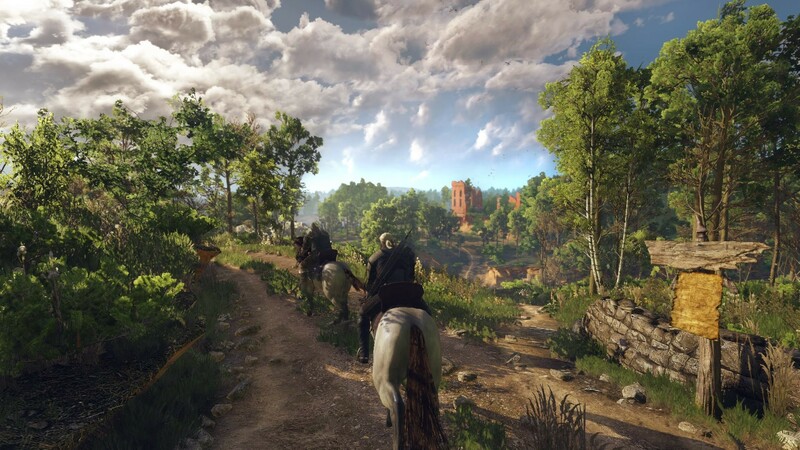 And it’s only after all this time, only once you feel that you have a solid, accurate picture of how things work in your world, that you can launch the production of the actual game. It’s a workflow similar to a movie or a novel actually. Sure this a slower process at first, because you don’t have a proper game to show for a long time. Your game is a “world”, not a game, and plenty of people are going to criticise you for just dreaming. Yet this approach makes the following production process more predictable, because it doesn’t rely on perfecting a Halo-tier gameplay loop. It’s more oriented for narrative genres with an emphasis on the story, the lore and the world and exploration. So what about The Last Night? As you can probably guess, we chose the world-building approach: our game has an extreme emphasis on its universe. Obviously we have gameplay mechanics, and they’re great, but The Last Night is really about living in the future, about bathing in a post-cyberpunk world. It’s not one gimmick or style. It’s not really a platformer, not really a shooter, not really an RPG, not just a dialogue/exploration game, and definitely not a point & click (although we love them). We couldn’t just prototype gameplay in the void, out of context. We had to build the world. Hence why we were in preproduction during a long, long time. As for more information on said world? Well, all will be revealed in the game, and we’ll be giving glimpses into what makes our fictional city tick in future dev blogs too. Suffice to say, believe us when we say post-cyberpunk. Even hi-tech and low-life has to move with the times. Our journey to build a next-generation cinematic platformer.